I know what you’re thinking. We get it, Marney, your husband has a sock problem. He leaves them around. Blah blah blah, deal with it already. 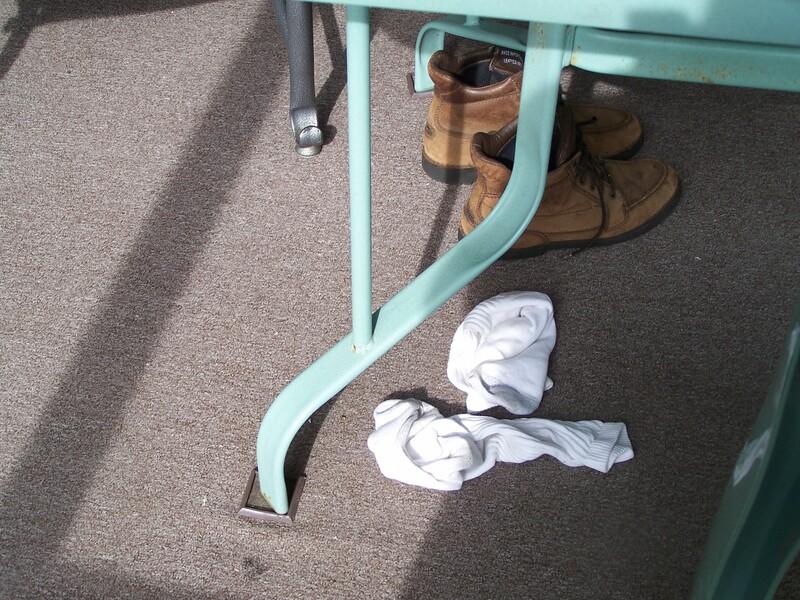 You see, while this scene seems reminiscent of my last post, there is a very distinct difference between these nasty old tube socks and the ones usually on my floor. See, this isn’t my floor. This is under the table of the screened-in porch of my parent’s lake house. And those socks? Why, they were pulled from the ugly-toed feet of my very own father. So however the prophecy works — you marry your father, you turn into your mother, both perhaps — it is fulfilled. Tagged as life lessons, what the hell? I love reading your stuff! This is so true though!! !